Food Safety Awareness (FSA) week is an annual event with the purpose of highlighting the importance of good food hygiene. 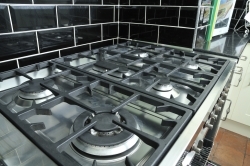 Having a clean oven is a large part of having better food hygiene, as this is where many of your meals are prepared. Despite the expense and inconvenience of cleaning your own oven or getting it cleaned, it is something that must be done. But why is it so important? And what will happen if I don’t clean my oven? Carry on reading to find out! 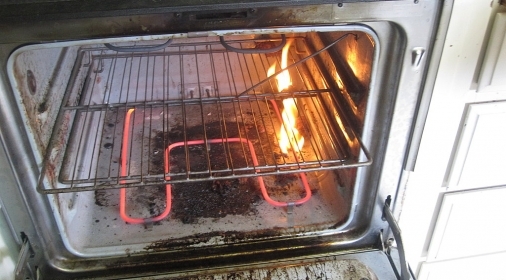 How do you I know if my oven needs cleaning? 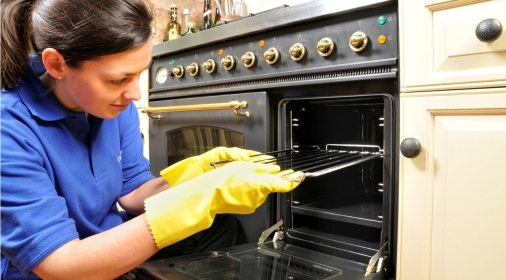 There are several telling signs that your oven needs a good scrubbing. 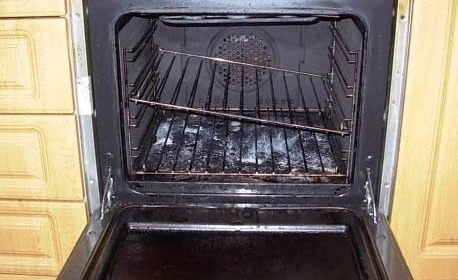 If there is a build-up of dirt on the window of your oven, residue builds up inside, an escape of smoke when you open the door or an unpleasant smell coming from your oven, it’s time to clean your oven pronto! Reasons why you need to clean your oven? A build-up of old food carries germs, and these germs will breed and be passed on each time you cook something in the oven. This can then infect you and your family, potentially making you very ill.
Not only is a dirty oven unhygienic, but it can be hazardous too. Spilt food that has not been attended to can burn, produce smoke and set fire. Spilt food that burns give you food an unpleasant taste of smoke and charcoal. A build-up of residue can clog the filters and mechanisms in your oven, making it less efficient at reaching high temperatures. Eventually, it can even stop your oven working altogether. Cleaning your oven regularly keeps all mechanisms clean and unblocked, which enhances the performance of your oven and makes it likely to last longer. If you let residue build up for months on end, it creates more work for you in the long-term, so it’s better to get your oven cleaned sooner rather than later! Ultimately, an unclean oven is an unfit environment to produce food in. Cleaning your oven may be an unpleasant and time-consuming task, but that’s where Ovenclean is here to help! Call us on 0800 840 7127, or complete our online form for your free quote.